Wow! I love them all very much, particularly the mice. :) Thanks for sharing them with us. 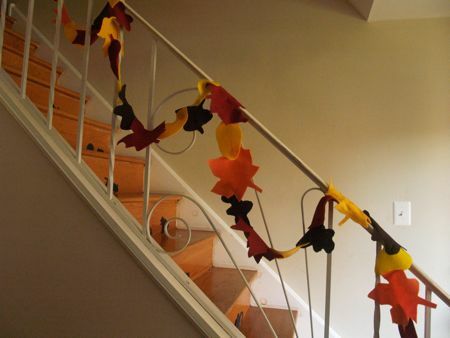 I have a (much much younger) brother, and this brought back fond memories of him as a small one, when I helped him “decorate.” Props to Sylvia and to you, both! Very nice! 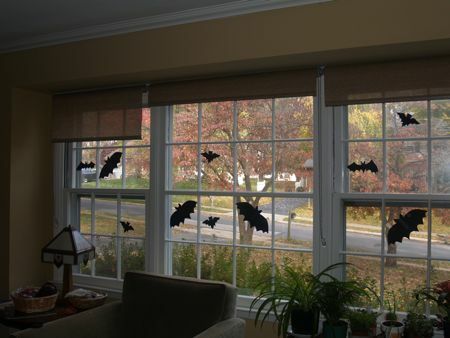 Its funny your front window with the bats is almost identical to our front window which is also covered in flying bats. Even the wall color in the room is the same. Great minds, I guess! Oh, what fun! She did a great job! @Shannah: Thanks! I should give props to Martha Stewart for coming up with the mice idea several years ago. I did draw my own mice for this project, though. @Kiran: Our living room walls are painting in Sherwin-Williams’ “Restrained Gold.” Is that your color, too? 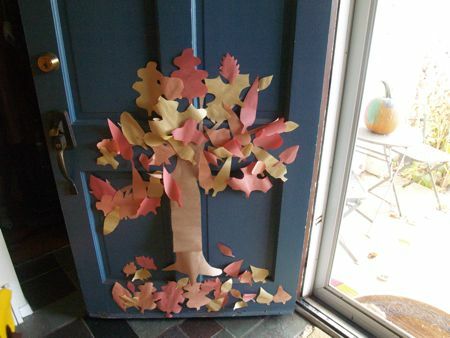 So creative and lots of fun! 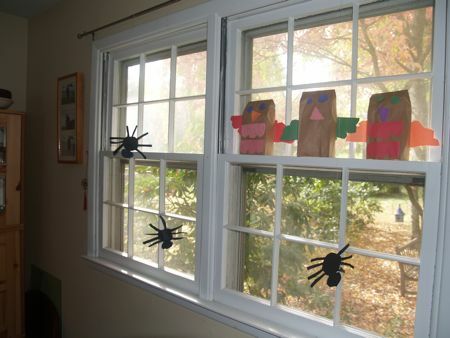 This reminded me of my childhood when we pulled out all the craft stuff. 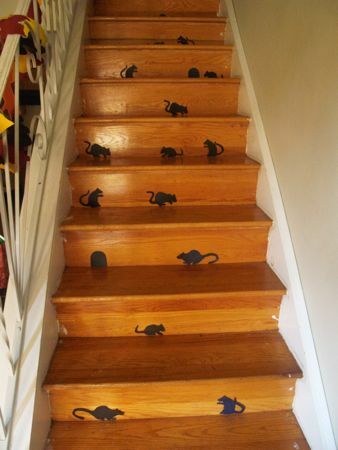 My favorite has to be the mice on the steps. They look so real! Love it!